They say you learn in 5 years at a start-up what would take 20 years anywhere else. I think this was true for me. I went from Web Engineer to Product Designer to Senior Product Designer to Product Manager to Product Design Manager. I helped take our design team from 3 to 30. How awesome is that?! 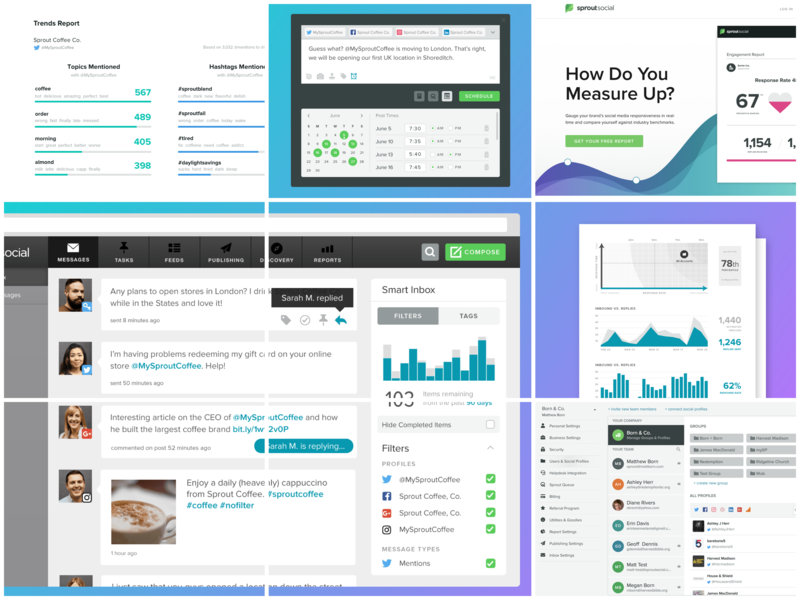 During my first 2 years at Sprout, I was able to work on nearly every area of our flagship app (and even some marketing sites) including our inbox, the reply views, our publishing tools, analytics, social profile connection flows, permissions, and settings. Before switching to Bambu, I prototyped way more experiences than we could test with customers. It was amazing to see many of my ideas grow to reach production without my direct involvement months and years later. Four years ago, I didn’t know what this was. Most people still don’t. Yet we were super early to market and I led code, pixels, and people as we scaled this to a multi-million dollar enterprise SaaS product. 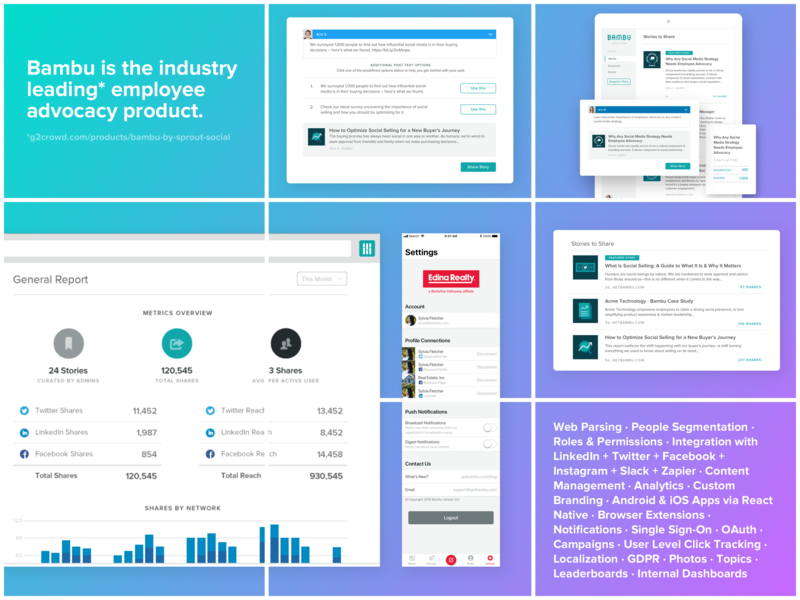 Sprout had big customers wanting more of their employees sharing on social. After prototyping v1, we built a working backend to present to our early prospects. Leveraging their feedback, I built a v2 prototype to accelerate our public launch. Of all the problems I helped solve for Bambu, one of the most interesting was creating a visual language that normalized the reading experience. Through iteration, we made it easy to distinguish dozens of media types and sources while supporting custom colors. With such a small team attracting the largest brands in the world, we needed to say NO at the right times and I helped drive many of these decisions. Examples: Integrating with Zapier, not rolling our own RSS. One color customization, not full-fledged theming. After flying solo for 2 years, I was green-lit to build a team. Zach became our dedicated UI engineer and owned the design system I introduced. Then we hired 2 more product designers—Savy and Jeff. Supermassive gratitude to these three for everything they accomplished and taught me. As our business outgrew our resources, I took the opportunity to lead two engineering squads managing and facilitating roadmap, sprints, and go-to-market. This first hand experience taught me invaluable lessons and made me a stronger designer when I moved back into the medium. I was the first to research and publish personas internally at Sprout. Though this first batch were pretty weak, they helped inspire an appetite for more comprehensive ways of scaling user empathy to the entire org. After reading the Sprint book, I advocated for and facilitated the first design sprint at Sprout Social. This became the first of many exercises and workshops based on design thinking as my team helped Sprout scale its product design discipline. I built many production-grade prototypes that enabled my team to rapidly validate internally and often test with our end users. My latest thinking on the relevance and importance of this is inspired by Tom Chi. Every time we ran an experiment, we learned something from our users—both externally and internally. Regularly sharing anecdotes about what we were learning helped rally everyone from every department around common goals rooted in our users’ needs. While working on Sprout, I introduced the second version of our style guide. After 2 years on Bambu, I introduced our production design system called Dearborn. We leveraged this on almost every project to accelerate development and keep the UI consistent. I defined the standards for our UI which made it easy to champion consistency by including references to past decisions in every project moving forward. Every conversation about a new experience was richer especially when we decided to go in a new direction. 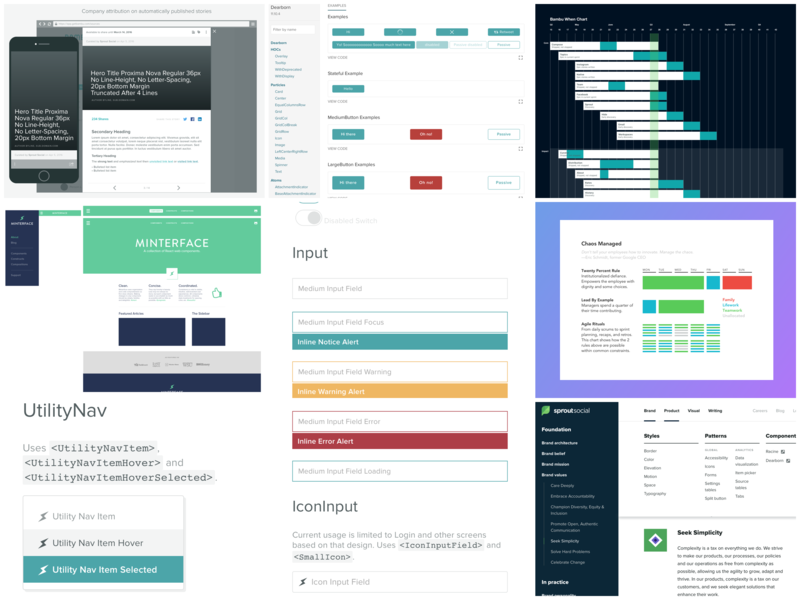 Evangelizing and exemplifying a systems design mindset led to the creation of a formal Design Systems team at Sprout. Right now, they are working hard on one of the most impressive and effective sets of resources I’ve ever seen. I’m proud to have played a founding role. In summer 2017, the pastor who married us asked if we would move to Utah to start a Christian church. We said no. Then we understood how important this was, moved away from family, and went all-in to build something incredible from nothing. We needed everything. A new logo and type system. Pitch decks. Several iterations of a website. Micro-sites and forms. Video bumpers. Marketing graphics. Announcement slides. Big signs. Small signs. A neon sign. Ridiculous 30-foot signs. 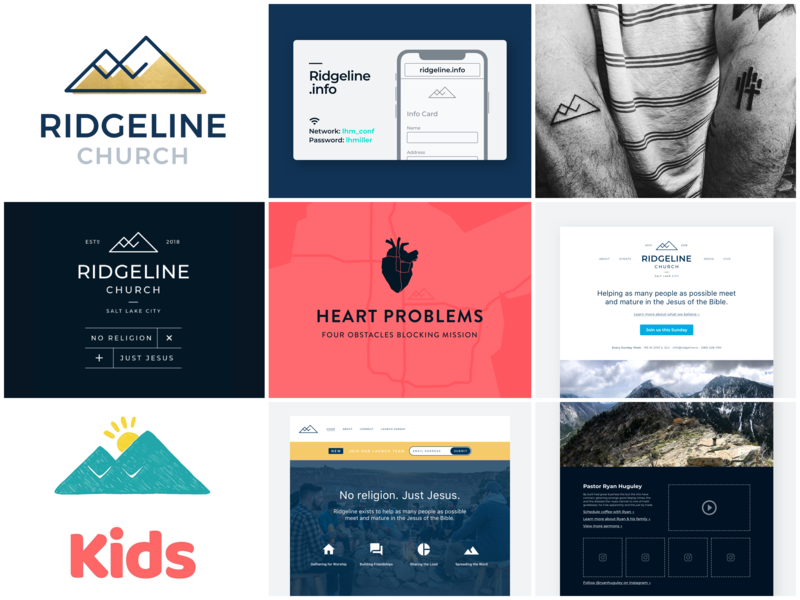 The best thing about my work for Ridgeline is that tons of it is being used by other churches all over the country through my partnership with MyXP. Since day one, we have been committed to helping churches thrive. As many as we can. Hands down, this is the biggest leap of faith my wife and I have ever taken. On Sunday, September 30, 2018 we held our launch service with 145 folks in attendence including 25 new families. That’s amazing for anywhere, but especially Salt Lake. 👋🏼 I moved from Chicago to Salt Lake to start Ridgeline, then I resigned from Sprout to find a growth opportunity in the Utah tech community. Would love to learn about the problems your team needs help solving—both for customers and internally. Check out my LinkedIn, then email me or schedule time with me. Learn more about the way I think and work on the Sprout blog and Inside Design.